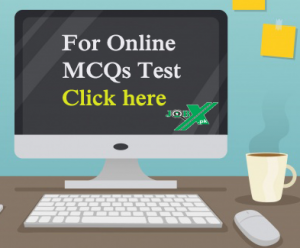 This General Knowledge MCQs Online Test is for the preparation of NTS, PPSC, FPSC, OTS, JTS tests. Many Jobs in Pakistan are announced through Testing Services like NTS, PPSC, FPSC, OTS, JTS, BTS so this test could be helpful for this purpose. Repeat at least 3-4 Times a test. Mcqs will be changed on every new starting of the test. Your score will be declared at the end of the test. You can also share your score on social networks. If you found any mistake please inform us. you can also send us MCQs we shall upload with the name of the user.